Alzheimer’s disease is an incurable, complex, age associated disorder that leads to progressive and debilitating cognitive decline. Currently, there is no treatment that can cure or even halt the progression of the disease. Effective treatments are urgently needed and, in part, will be aided by better classification and early detection of the disease. Alzheimer’s disease is the most common cause of dementia. It is a multifactorial disease; one cause being build up of protein structures such as plaques and tangles. Pathologically, -amyloid peptide and hyperphosphorylated tau are major drivers of neurotoxicity in the brain, however mechanisms are poorly understood. One mechanism discovered recently (Bussian TJ et al Nature Sep 2018), implicated cellular senescence as a key driving force for cognitive decline. Cellular senescence is a process by which cells damaged by various stressors are either removed from the body or maintained in a state of non-division. Senescent cells secrete a variety of inflammatory cytokines, growth factors and other soluble and insoluble factors known as the senescence-associated secretory phenotype (SASP). Various features of senescent cells, such as the SASP, can cause damage to surrounding tissue. SASP secreted by senescent cells can alter the tissue microenvironment. Interestingly, there is a significant overlap between cytokines and chemokines secreted by tau impacted cells and senescent cells. What role if any Senescence/SASP plays in Alzheimer’s is unknown. We hypothesise that the presence of senescent cell markers precedes development of severe cognitive decline. An Alzheimer’s disease specific senescence signal (AzSenSig) will be developed using published datasets (n>500). These comprise of senescence specific transcriptomic, proteomics and metabolomics datasets. While the growing availability of such diverse senescence data offers huge opportunities to generate a more thorough and comprehensive view of biological problems, mining such abundant information poses great challenges to research communities. Using artificial intelligence and machine learning, we will develop advanced integrative data analysis algorithms and tools to capture the usability of senescence markers in prediction of outcomes for Alzheimer’s. 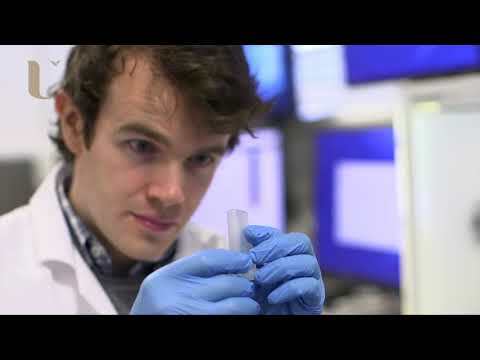 Its clinical potential will be evaluated by analysing proteomic analyses from samples collected within the Northern Ireland Centre for Stratified Medicine. The bioinformatic discovery will be complemented by in vitro studies as follows. We will establish a cellular model of neuronal senescence. Briefly neurons will be made senescent by treating them with 50 uM of etoposide for 24 hours to induce senescence. RNA will be extracted to generate a unique senescence specific transcriptomic dataset. Differentially expressed trancripts will be compared to AzSenSig for concordance. Validation of findings from data mining of publicly available datasets will be conducted in samples collected locally. Proteomic signatures in individuals with Alzheimer’s disease, mild cognitive impairment and apparently healthy controls will be evaluated. Comprehensive clinical history and neurocognitive assessments are available for all patients. The main aim of this project is to determine specific senescence signatures associated with Alzheimer’s disease, and to identify if such signatures can be assessed in peripheral blood samples. The proposed 3-year project will be based at the Centre for Personalized Medicine (CPM) under the supervision of Dr Rai, Dr McClean and Dr Shukla, research lecturers and alongside Professor Bjourson, centre director.